Jeremy is an outstanding example of what is right with Sunstar. As the head of the field training officer program and employee orientation, Jeremy has done an outstanding job ensuring clinical excellence by creating innovative ways to train employees. Jeremy and team have improved Capstone testing scores to near 100% passing rates and decreased the onboarding process by 30%. 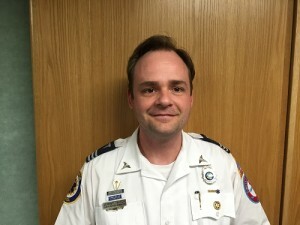 In 2015, Jeremy was promoted to Clinical Services Coordinator. Prior to his promotion, Jeremy was an assistant operations supervisor. Sunstar is very pleased to nominate Jeremy Tinter for the 2016 AAA Stars of Life.